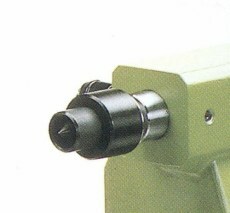 HEGNER - M33 thread faceplate. HEGNER - Headstock drive centre. 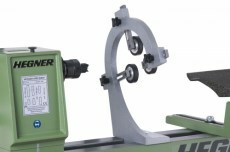 HEGNER - Spindle steady which bolts across the ways. 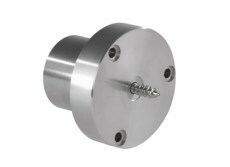 Can restrain spindles from 8 to 80mm diameter. 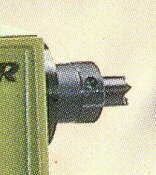 HEGNER - Screw chuck for wood latrhes. 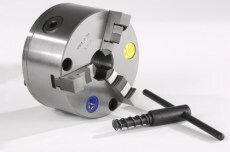 HEGNER - Cup chuck for wood latrhes. HEGNER - Live tail on a #2 morse taper. 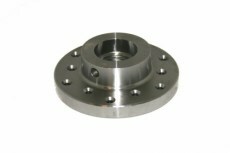 Has removable pressure ring. HEGNER - Chuck for wood latrhes. 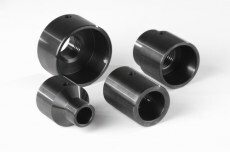 HEGNER - Guard for both 100 and 125mm diameter chucks. 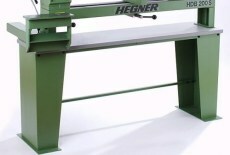 HEGNER - Stand for Hegner HDB wood lathe.